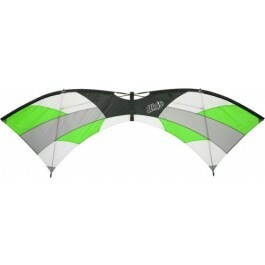 A unique, crisscrossing spar configuration creates a leading edge that is extremely sturdy and absorbs impacts, making the Mojo perfect for first time quad-line flyers. The Mojo offers full quad-line control and is capable of forward and reverse movement, instantaneous stops, hovers and propeller spins. 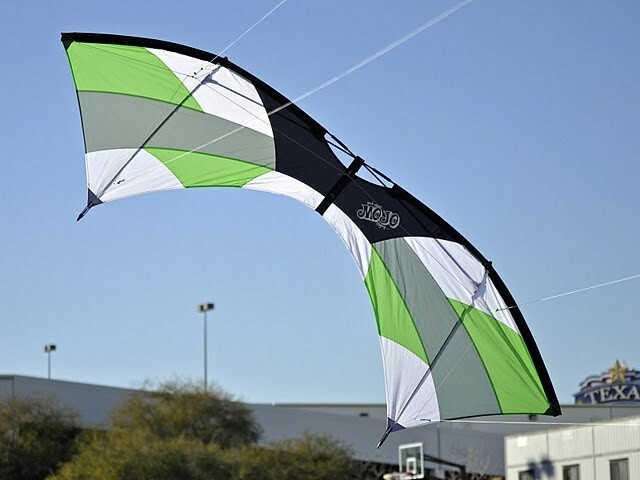 Removable wind brakes help control speed and provide greater ease of control when learning. Detaching the wind brakes allows the Mojo to turn and spin extremely fast for a sporty feel that advanced flyers will enjoy.